Good news for Swiss tinkerers! With PLAY-ZONE we have found a well known Swiss open source hardware seller. PLAY-ZONE sells open source hardware, microcontrollers, DIY-electronics, sensors, robotic kits and other electronic stuff. Plans to make the system of Tinkerforge building blocks stand-alone existed since the beginning. Originally we wanted to provide a C-API, that could have been used to write firmwares for Bricks. We called the idea “On Device API”. The advantage of our “High-Level” API with the strong abstraction of the hardware would have been lost. Users of our building blocks would have been forced to learn low-level C, which is against our grand scheme. Since we can’t do everything at the same time, we decided some time ago to hold on to our “High-Level” approach. We want to give everyone the possibility to write stand-alone applications fast, easy and flexible. A good solution for that are embedded-PCs, such as the Raspberry Pi. Those are already often used to control Bricks and Bricklets. 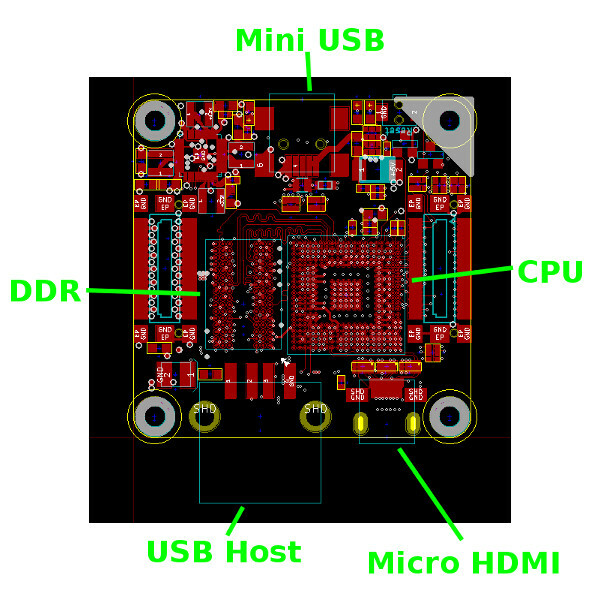 With the RED Brick (RED = Rapid Embedded Development) we take that concept of an embedded-PC and bring it into the system of Tinkerforge building blocks. In our Forum we asked you for ideas about the RED Brick. The general consensus was that the RED Brick should be of size 40x40mm like the other Bricks. 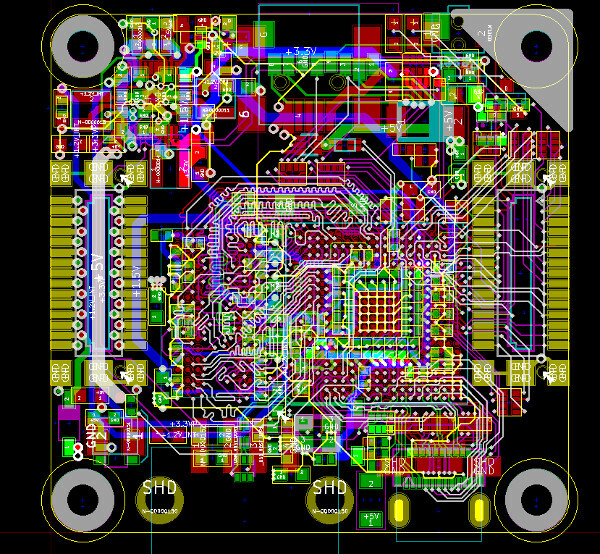 The 6-layer circuit board design is not yet completely done. Some signals still have to be routed and optimizations as well as planes are still missing. We are however confident that we will be able to order first prototypes next week. An A10s processor from Allwinner is accommodated on the top-side. This processor is an Cortex A8 with a frequency of 1GHz. Directly next to it we located a 512MB DDR3 RAM module. The decision for the type of processor was not easy. 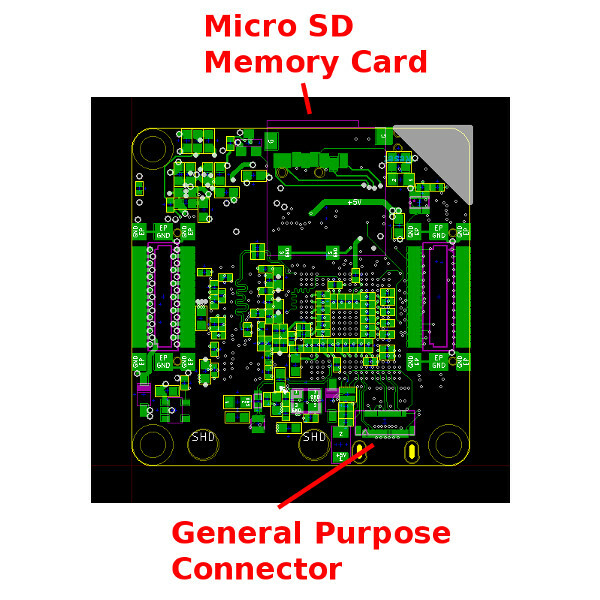 If the PCB is supposed to still be moderately priced we can’t use blind vias. Without blind vias we have to put both the RAM and the processor on one side of the PCB. As a consequence the space for the CPU is very limited. USB Host for USB devices such as USB thumb drives, USB <-> Wi-Fi adapters, HDDs, keyboards, mice, etc. Micro SD card slot as a storage media for the operating system, your own applications etc. General purpose connector for flat cable. Many different interfaces are routed to this connector. The utilization of these is not yet planned. We will keep you informed with more blog posts in the future. Keep your fingers crossed that the prototype works as we are hoping :-). After the small preview from the end of November we can now finally present the new Starter Kit: Blinkenlights. 200 RGB LED pixel are arranged as 20x10 Matrix in a black perforated board. Thus the pixel can be used as a display. Many applications are more beautiful if an additional front panel is put infront of the LEDs. As usual with our starter kits, there are several example applications in different languages available. Particularly the game demos Pong and Tetris already resulted in lots of impromptu competitions between Tinkerforge employees. 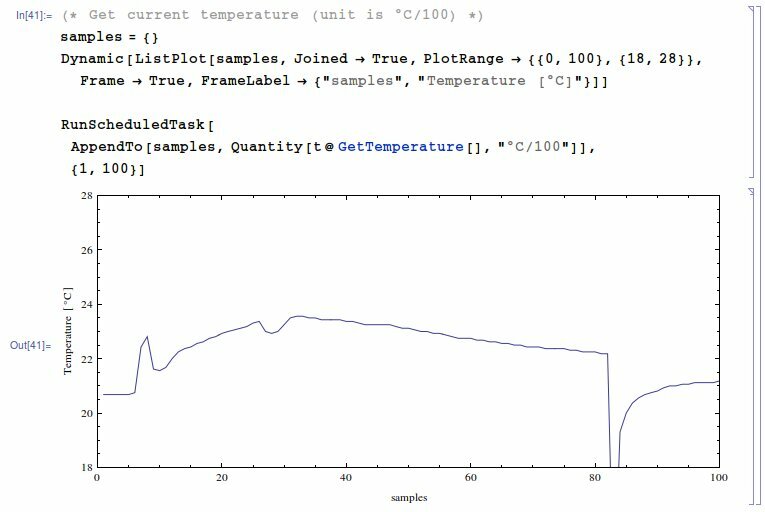 The Mathematica bindings are now ready to use! Tinkerforge is a hardware partner in the Wolfram Connected Devices Project. This project aims to integrated every type of connected device with the Wolfram Language. The Mathematica bindings enable you to do just that: Integrate Bricks and Bricklets with Mathematica.